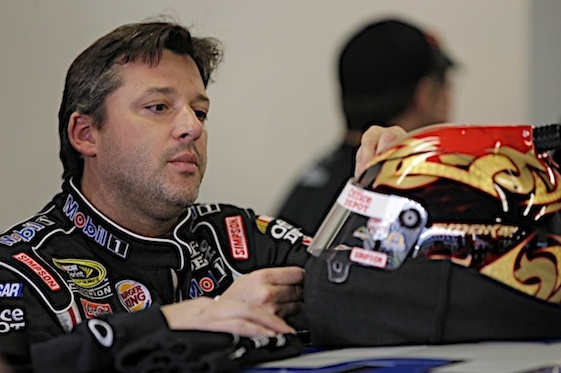 For both what and how he won his third Cup championship – his first since becoming an owner/driver for Stewart-Haas Racing – Stewart was the top vote-getter in the inaugural RacinToday.com All Pro Racing Team. Stewart won five Cup races in 2011. All five of his victories came in the 12-driver, 10-race Chase for the Sprint Cup Championship playoff. He claimed one pole on the season. Stewart had 19 top-10 finishes and nine top-fives. He started the final race of the season at Homestead-Miami Speedway three points behind leader Edwards. The only way he could guarantee his championship was to lead the most laps and win the race. He did just that. He needed to do just that as Edwards finished second in the Ford 400. Stewart and Edwards finished the race tied in points but Stewart won the championship on the first tie-breaking criteria – he won more races than Edwards. The All Pro Team is voted on by the eight RacinToday.com senior writers. All are asked for the names of 10 drivers. driver won one race but had 19 top-five finishes. He also won eight Nationwide Series races. His Cup victory came at Las Vegas Motor Speedway early in the season. Edwards named on seven ballots. Del Worsham (NHRA) – Worsham, who drove for Al-Anabi Racing, won the Top Fuel Championship. He won the championship in his first season after moving up from Funny Car. Worsham won eight events on the year, including the Four-Wide Nationals in Charlotte, N.C., and the season-finale in Pomona. Worsham was named on seven ballots. Dario Franchitti (IndyCar) – Franchitti won his fourth IndyCar championship last year. It was his third for Target Chip Ganassi Racing with Felix Sabates. He won four races and had nine podium finishes. He also won a podium for Ganassi’s team in the Rolex 24 sports car race. Franchitti was named on six ballots. Matt Hagan (NHRA) – Hagan won his first NHRA pro series championship. Driving for Don Schumacher Racing, he won the Funny Car championship with consistency as he won two events on the year. One victory came at Charotte and one victory came in the season finale at Pomona. Hagan was named on five ballots. Brad Keselowski (NASCAR) – Keselowski had a breakout season in Sprint Cup. He won three races in the series, made the Chase and finished fifth in the final standings driving for Penske Racing. He had 10 top-five finishes. Keselowski also won five races in the Nationwide series. Keselowski was named on four ballots. Will Power (IndyCar) – Power finished second in the IndyCar standings and was in contention for the championship entering the season-ending race; the race which ended after just 11 laps because the wreck which cause the death of Dan Wheldon. Power who drives for Team Penske, won six races in 2011. He was named on four ballots. driving duo won five of the 12 races on the schedule. That gave them their second straight championship and third in the last four seasons. The won the Rolex 24 at Daytona four the third straight season. Pruett and Rojas were named on four ballots. Ricky Stenhouse Jr. (NASCAR) – Stenhouse began the Nationwide season fearing for his job. He responded by winning two races and the series championship. The Roush Fenway Racing driver logged 16 top-five finishes and his average finish was 8.8. He got his first Sprint Cup start where he qualified ninth and finished 11th at Charlotte. Stenhouse was named on four ballots. Kyle Busch (NASCAR) – Busch was a three-series star in NASCAR in 2011. He won four Cup races, eight Nationwide races and six Camping World Truck Series races. He had 14 top-five finishes in Cup and an average finish of 13th. Driving for Joe Gibbs Racing, he qualified for the Chase for Sprint Cup Championship and finished 12th in points. He was named on three ballots. Austin Dillon (NASCAR) – The 21-year-old Dillon won two Camping World Truck Series races en route to the 2011 championship. 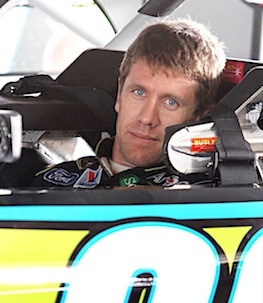 He had 10 top-five finishes driving for Richard Childress Racing. His average finish in the series was 9.3. He started four Nationwide races and had one top-five. He started his first Cup race, at Kansas, and finished 26th. Dillon was named on three ballots. Jason Meyers (World of Outlaws) – Meyers, driving for Elite Racing, won his second-straight series championship. Along the way, he won nine events in 2011. During the season, he won five straight Outlaws events and had 41 top-five finishes. Meyers was named on three ballots. – The senior writers for RacinToday.com are John Sturbin, Jeff Hood, Deb Williams, Mike Harris, Larry Woody, Jonathan Ingram, Rick Minter and Jim Pedley. Thought this was a quite good assement. Tho,I sure had wanted Carl to get the championship. I am not sure about Kyle and Brad.but I could be blinded by my dislike of both of the them .Hope that last remark is O.K. Just trying to be very honest.Gald to see Worsham up there. JasonMeyers did a great job. Congrats .